Subscriptions on Google Play continue to see huge growth, with subscribers growing over 80% year over year. At I/O 2018, we announced several improvements we’re making to the user experience to reduce barriers to subscription sign-up, and more tools to let you manage your business the way you want to. While users derive a lot of value from their subscriptions, our research shows their fears of being “trapped” in a subscription without the ability to cancel or worry they’ll lose track of how much they’re spending create a hindrance to users signing up for your subscription apps. 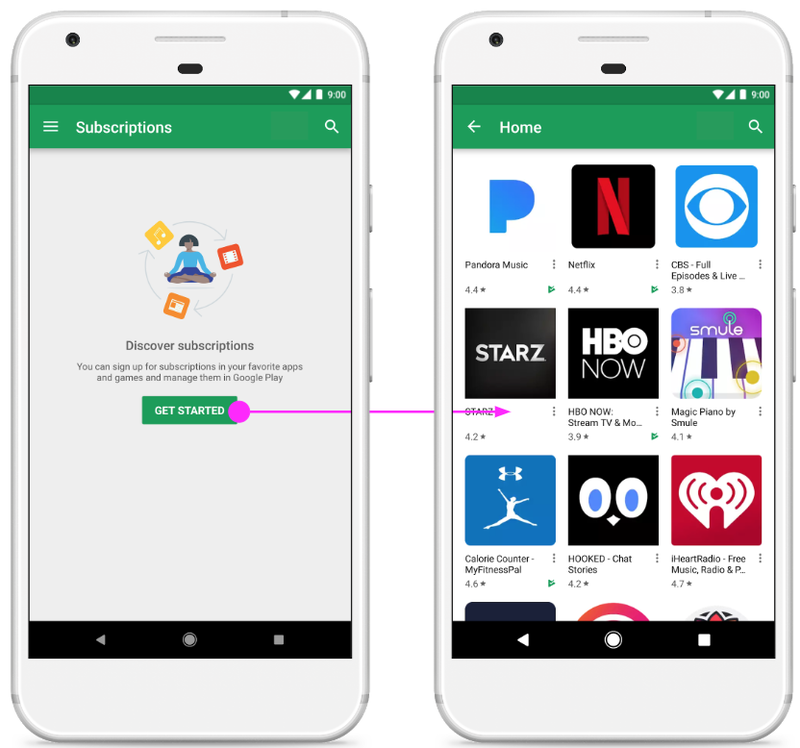 To address these fears, we recently launched a new subscriptions center, a one-stop shop for users to manage their subscriptions on Google Play. The new subscriptions center also has a “Get Started” link in the empty state that lets users discover subscription apps through curated and localized collections. With the launch of the subscriptions center, we’re also launching new deep links you can use to direct your users to manage their subscriptions from your app, over email or via the web. To implement, use the package name and SKU to construct the deep link, and then add the deep link as a button or link from anywhere in your app. View the Android Developers website for more information. In addition to creating a better experience for users, we’re also rolling out new tools that give you more flexibility in managing your business. One of the features we’ve heard requested most is price changes. Coming soon, you can easily ask users to accept a price change via the Google Play Console without having to set up a completely new SKU. 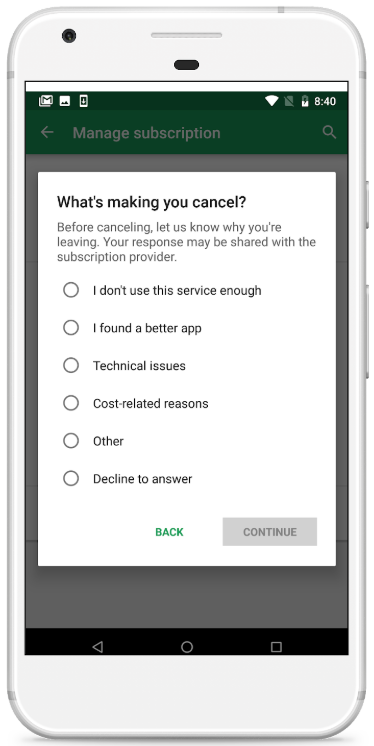 Google Play will notify users of the change via emails, push notifications and in-app messaging, and if by renewal date the user hasn’t agreed, we’ll cancel their subscription. Sign up here if you are interested in participating in the early access program.